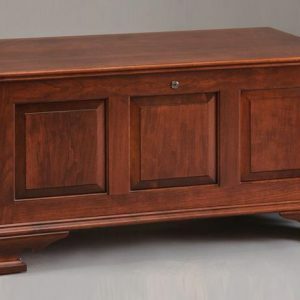 By the fireplace or under the picture window the Seat Rail chest will bring years of enjoyment and functionality to your home. 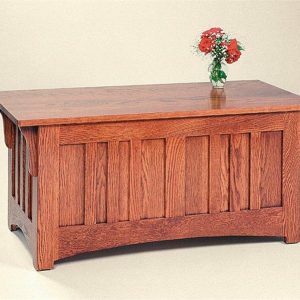 By the fireplace or under the picture window the Seat Rail chest will bring years of enjoyment and functionality to your home. 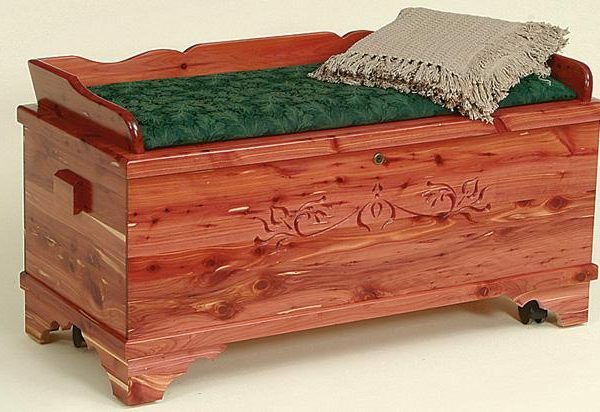 Seat Rail chests are ideal for use at the foot of your bed, their softly padded tops double for extra seating space. 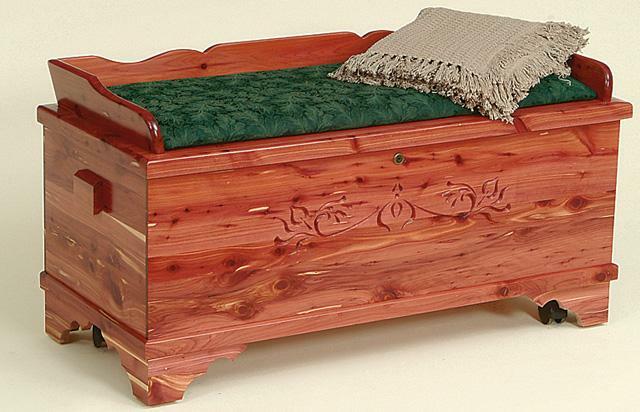 Cedar bottom is standard and full cedar lining is available on both Oak and Cherry. 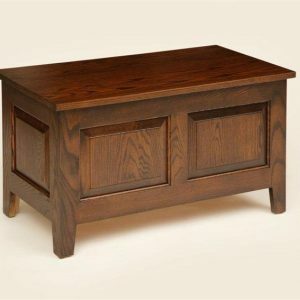 Available in solid Cherry, Cedar or Oak. Our Seat Rail series come in either medium or standard (Large) sizes. Carpet casters are standard on both models, as well as a lock on the lid. The safety hinges insure little fingers wont get pinched.